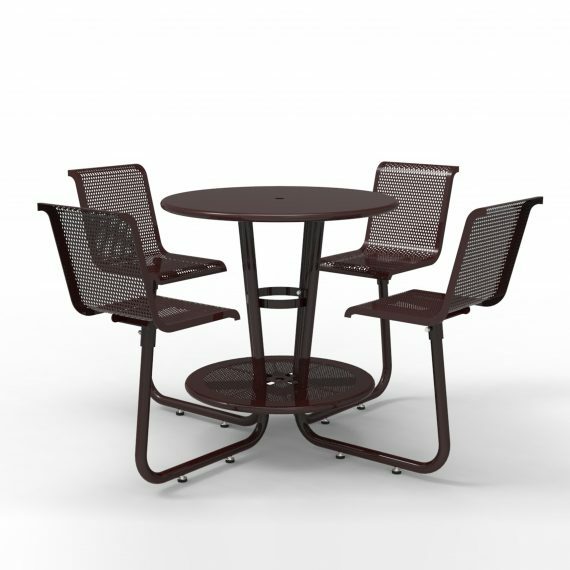 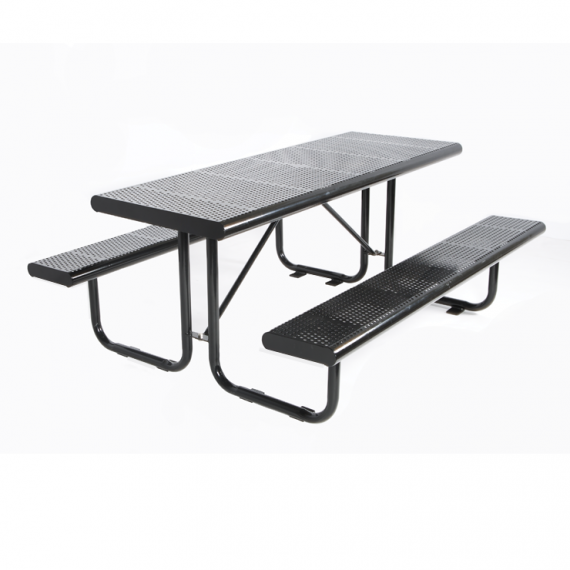 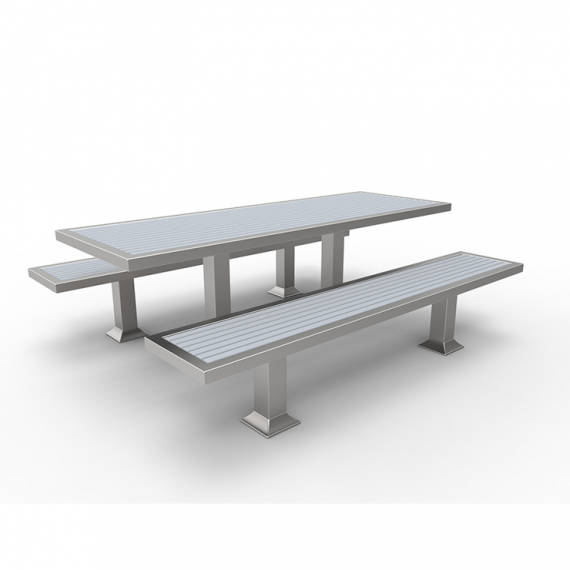 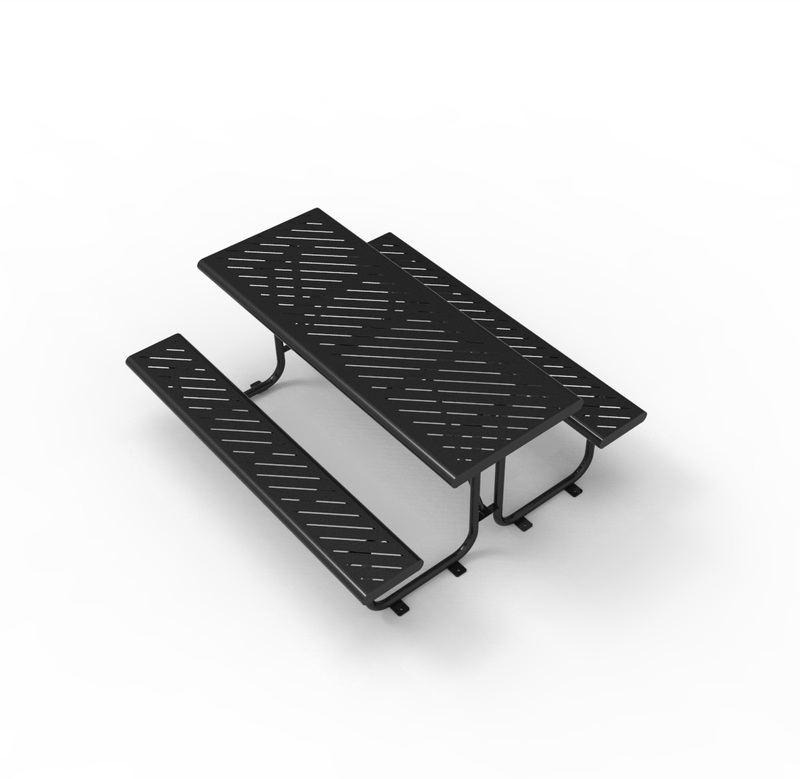 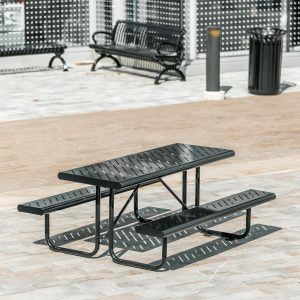 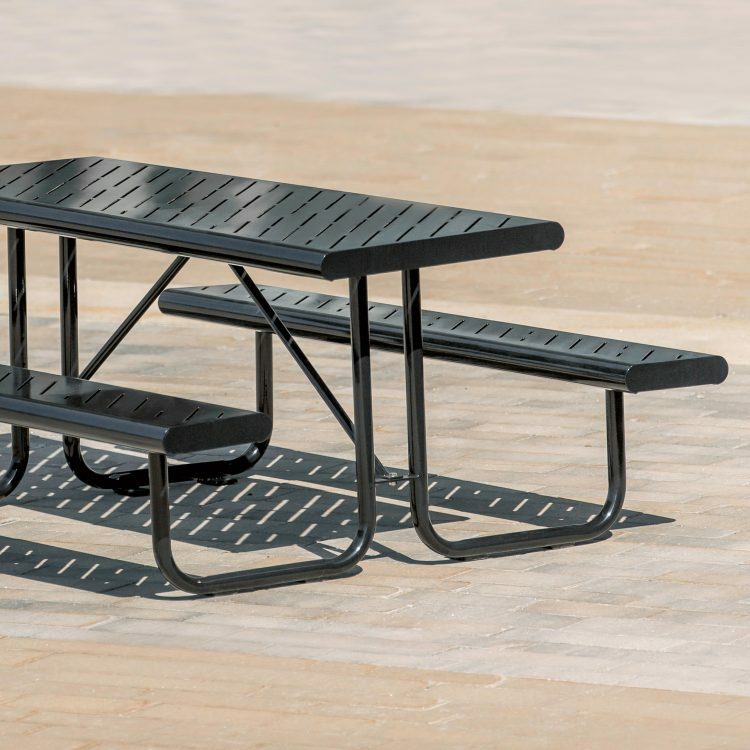 CAT-035N is long metal picnic table with attached benches. 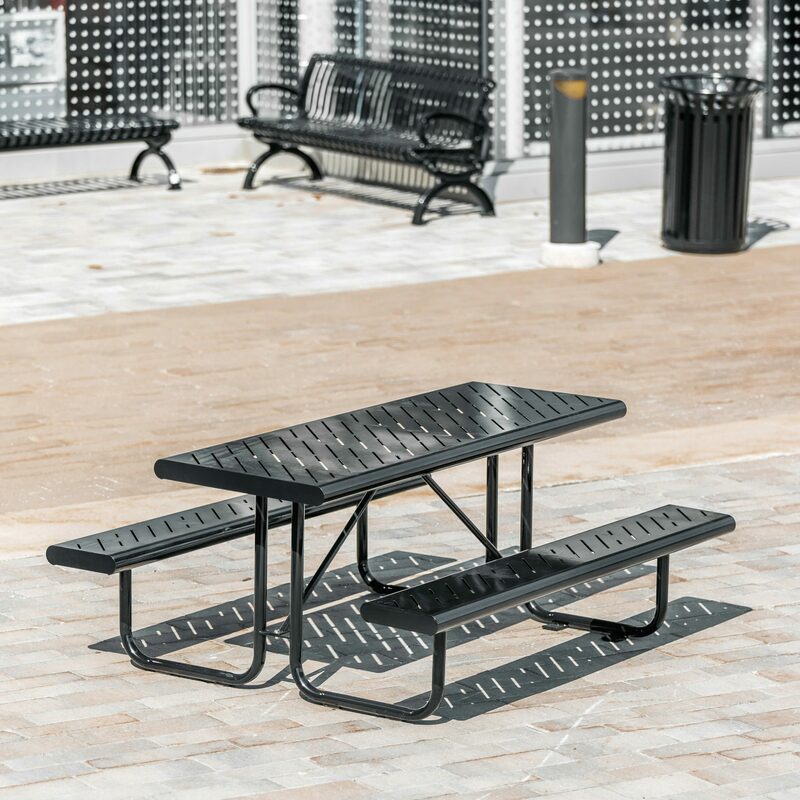 Perforated surfaces are used to prevent precipitation accumulation. 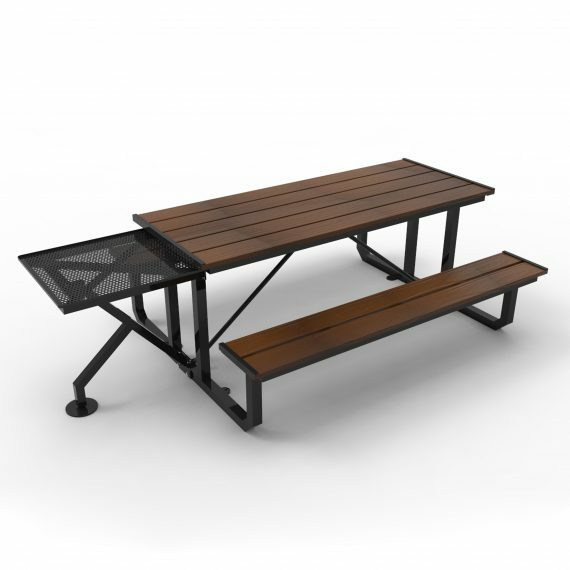 CAT-035N is constructed with steel. 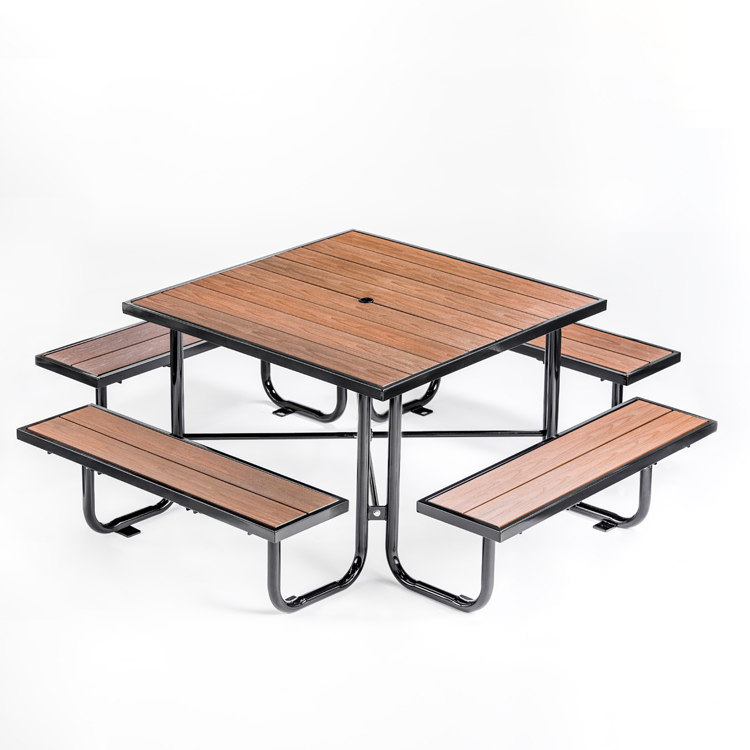 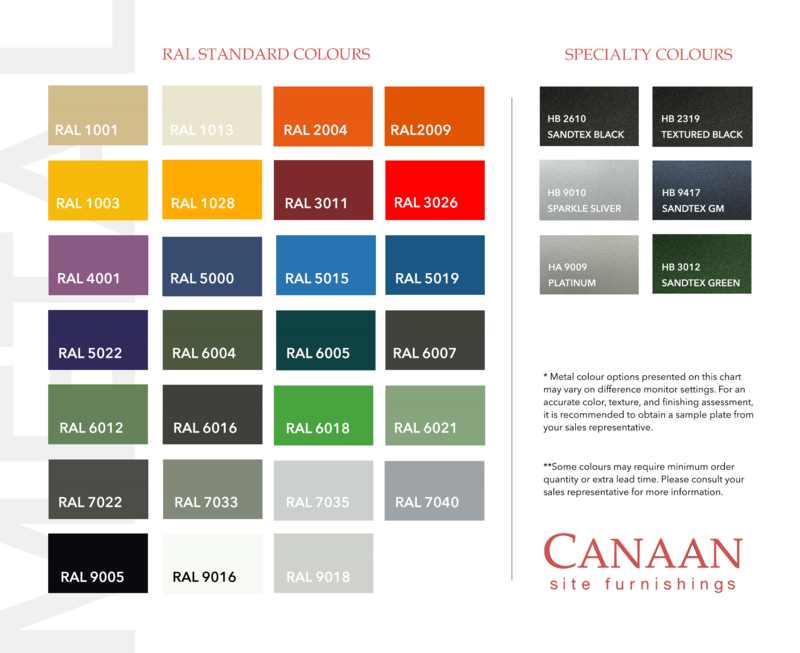 Steel components are electrocoated with anti-corrosion treatment, and finished with powder coating electrostatically.